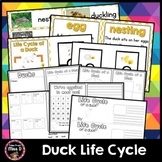 This is a Power Point Presentation which Teaches students about the Duck Egg, Incubation, Hatching, Adaptations, Habitats, Feathers, and Male Vs. Female Traits. Slides are colorful with beautiful illustrations, diagrams, and photographs. Great for a classroom hatching ducks this spring! Sharpen your learners' literacy skills with this "Duck Hatching Fill-In-The-Blank Story". 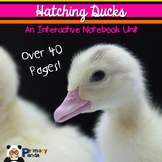 Designed for early readers and writers to share facts they've learned about hatching ducklings. 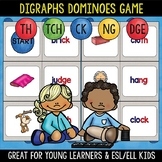 Can be done as an independent or guided activity based on the needs of your students. This unit includes vocabulary for ducks and their eggs. 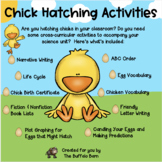 Observation journals and countdown calendar for hatching ducks. Includes pages to make a book while incubating duck eggs. 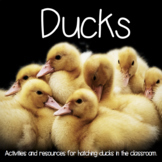 Pages are about incubating, candling, and hatching out duck eggs. Answer key provided. Visit my store for other incubating products! This journal can be used throughout the incubation period for hatching many different types of eggs (chickens, ducks, quail...). Students predict what will hatch, as well as make observations of the candling and hatching process. There is also a life cycle page.